Whether he’s roaming casinos or trying his hand at a table, Casino Veteran knows his way around. Some say he even lives in casinos. While searching for a new spot to rest, he discovered Chelsea Palace and stayed long enough to form an educated opinion on this casino. 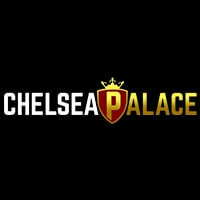 The Chelsea Palace online casino bears many similarities to various other casinos that have recently been launched, which is largely due to the fact that it is owned by the parent company Nektan. It has a neat yet engaging layout, offers ample gaming options to all players, and is supported by some of the largest tech companies in the business. It also offers large bonuses and promotions to both new and existing players to make the experience all the more thrilling. Similar to the other online casinos recently established by casino company Nektan, Chelsea Palace was launched in 2018. Chelsea Palace is regulated and licensed by both the Gibraltar Gambling Commission and the UK Gambling Commission, making it a trustworthy gaming provider. All of the games found at the Chelsea Palace casino are easy to access and sorted into convenient categories. Any queries or requests for assistance can be done through email, telephone and live chat support. The email option is open 24/7, but the telephone and live chat options only operate between 08:00 and 00:00 GMT. The desktop version of Chelsea Palace is fast and offers many attractive features, and the mobile casino platform is just as useful and reliable. Whether using Android or Apple mobile devices, all players can enjoy the entire range of games from either a phone or tablet. The mobile version is also as user-friendly and performs as well as the desktop platform, making it a perfectly suitable alternative. Bonuses are easily one of the most exciting rewards when signing up to an online casino. It is clear that Chelsea Palace knows this, as it currently offers new players a welcome bonus of up to £850 along with 50 free spins to use on the popular Starburst slot. A selection of internationally established game developers provide Chelsea Palace with their various games. These companies are the creators of many of the industry’s best games. Is simply looking at a casino platform enough to make an informed decision? 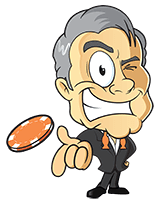 Casino Veteran never thinks so, which is why he is always sure to try a few of the games and services before leaving a final verdict. It took only a few minutes to open an account with Chelsea Palace, make his deposit and claim his welcome bonus package. Having already tried Starburst recently, Casino Veteran decided to choose different games. He looked through a selection of player favourites and chose Ancient Egypt Classic, King Kong Cash and Pixies of the Forest as the three games that he would use to test Chelsea Palace. After some quality time with each game, he could confidently say that Chelsea Palace offers a fair and reliable service with fast loading times and an excellent quality of games. Once his rounds were complete, cashing out was simple enough and he walked away with a winner’s smile on his face.